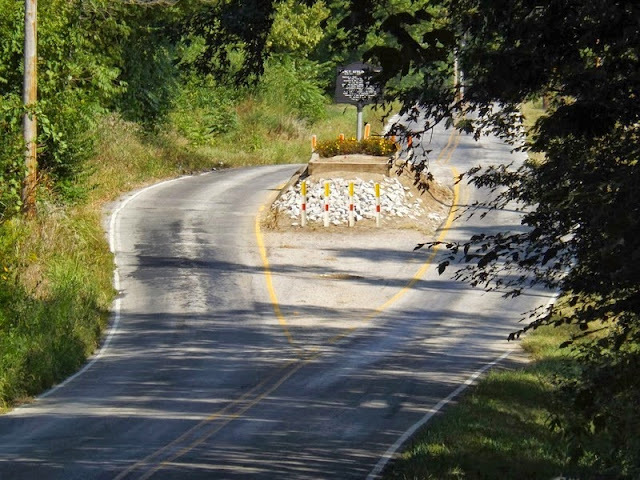 In the middle of East County Road 400 South, near Amity, in the state of Indiana, in the U.S., is a small mound of earth that splits the asphalt road along its length. That mound is the grave of Nancy Kerlin Barnett (1793-1831). 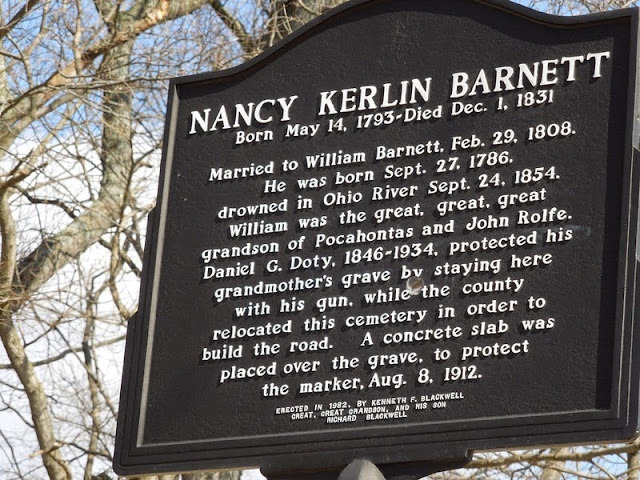 Nancy Kerlin was fourteen years old when she married William Barnett in 1808, and they settled near what would become Amity, Indiana. 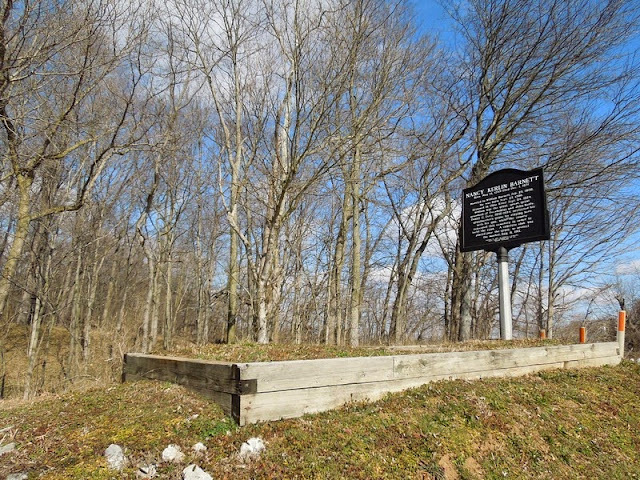 When she died in 1831 at age 39, she was buried on top of a small hill that overlooked Sugar Creek - one of her favorite spots. In the following years, several others also were buried there and a small cemetery was created. 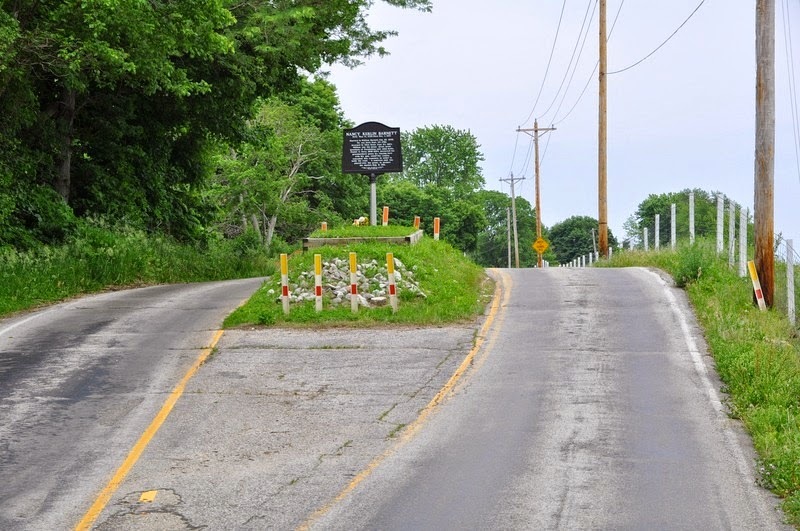 Around the turn of the century, Johnson County decided to build a road directly through the cemetery, which meant that the graves would need to be relocated. One of Nancy's sons objected to moving her grave. Since the cemetery was already cleared off the remaining graves, the developers didn’t mind leaving this one grave behind and the road was laid around it. Trouble started much later when the county wanted to widen the road. 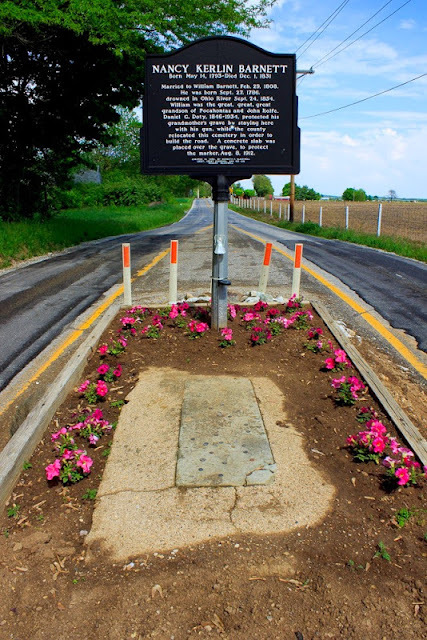 Now the grave was smack dab in the middle of the road and would have to be moved. This time, Nancy Barnett’s grandson, Daniel G. Doty, objected. But when the county pushed ahead with their plans, Daniel Doty grabbed a shotgun and stayed on his grandmother’s grave. Exactly how long he remained there isn’t known, but apparently his defiance was enough to force the county to split the lanes right down the middle and work around the plot. A concrete slab was placed over the grave to protect it and on Aug. 8, 1912, a historical marker was placed at the site as well.